Thanks to Today's Chiropractic for permission to reproduce this article! Assuring your level of documentation will support the services you rendered. 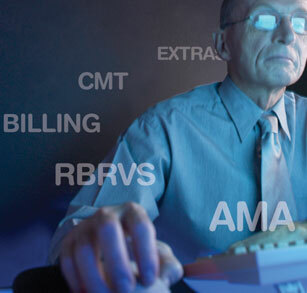 The CPT Coding system is updated and published annually by the American Medical Association. Most practitioners are unaware, however, that this coding process is overseen and approved by the Department of Health and Human Services. Most coding is developed for Medicare purposes. For example, when it was determined there was a need for specific chiropractic manipulative treatment (CMT) codes, the process was begun in 1996. These codes were created for reimbursement within the Medicare program. The simple creation of these codes increased Medicare reimbursement for doctors of chiropractic by more than 50 percent from the old A2000 code. As you know, the CMT codes are now the primary codes used for average day-to-day encounters with our patients. The process was begun and adopted for Medicare, but the codes are widely accepted by most all insurers. The process includes assigning a value to the codes, known as the Resource Based Relative Value System (RBRVS). This system assigns three values to each code: a work value, a practice expense value, and a malpractice value. The application of each of these, when multiplied by geographic equivalents and a yearly conversion factor, determines the Medicare reimbursement value for each code. These are the values you receive at the end of each year from your Medicare carrier to let you know what your fee schedule will be for the next year. The work value of a code represents the “work per unit of time” in general, and is based not only on the amount of time spent with the patient, but also the amount of work, physician skill and judgment required during the visit. This constitutes the majority of the value of the code. The second value is known as practice expense. This value fluctuates annually, and is primarily the reason you may see a few cents increase or decrease in your Medicare fees on an annual basis. This value includes things such as the cost of your physical plant, your staff, electricity, supplies, etc. The final value is a malpractice value. This number is dependent upon the risk of the service. The reason all these facts are important is that the Medicare system drives reimbursement. Although the private payers have their own fee schedules, one need only to look at the recent flood of denials associated with the Medicare Correct Coding Initiative (CCI) edits to see how Medicare initiatives can drive reimbursement within our profession. Although Medicare allows only the CMT codes to be reimbursed in the program, they have set edit checks coupled with the CMT codes to deny other services rendered on the same date, such as massage, manual therapy or neuromuscular reeducation. These are known as mutually exclusive services. Logic dictates that this should not be an issue since Medicare does not cover these other ancillary services. However, many private payers have adopted these edits as the basis for their own, and it has driven a startling reimbursement trend. More and more payers are inching toward the CMT being the only covered service for doctors of chiropractic. It is clear to see how this Medicare coding system can affect our reimbursement in the private payer arena. More and more payers are adopting the Medicare RBRVS fee system to determine their reimbursement guidelines. For this reason, it behooves each of us to be intimately aware of the connections between Medicare and the private payer system, and to understand how this coding system affects us in our daily practice. It’s also imperative for us to make sure that the CMT remains a chiropractic service within Medicare. We should also support the initiatives put forth by our national associations to assure that all services provided by doctors of chiropractic are reimbursable under the Medicare program. The second point that will assist your practice in maximizing its reimbursement is to assure that all the services you are providing are being correctly billed, or it might be prudent to say in some cases, are billed at all! So often, when analyzing practices, it seems that the greatest outpoint is providers providing services that are never billed or charged to patients. As an illustration, two major trouble spots are noted most often for incorrectly coding or billing. These are evaluation and management (E&M) services and extremity adjusting. Evaluation and Management codes are wonderful tools to help describe the physician-level services that doctors of chiropractic perform all the time. DCs are able to utilize these codes to properly describe the evaluation techniques performed. Too often, denials appear because certain payers feel these services are not reimbursable on the same date of service as a CMT code. While it’s true that it is inappropriate to bill an E&M service every time you perform a CMT, there are many times it would be appropriate during a patient’s course of treatment in your office. Some examples of when it is appropriate to bill a separate E&M code on the same day as a CMT code include a new patient visit, an established patient with a new condition, new injury, re-injury, aggravation, exacerbation, or a re-evaluation to determine if a change in treatment plan is necessary. Use of E&M services should be supported by appropriate documentation. All too often, doctors of chiropractic fail to recognize when it’s appropriate to additionally bill an E&M service. In some cases, they have had the E&M service denied when the CMT is billed the same visit, and choose not to bill them together any more. However, it is certainly appropriate to bill an E&M service any time there is a separately identifiable E&M service. Make sure to append the “25” modifier to the E&M service. Objective findings in the extraspinal region. A diagnosis supporting the treatment of this extraspinal region. Clinical notes indicating the treatment of the extraspinal region. A treatment plan for that region. It’s also helpful place that diagnosis in the fourth position in box 21 of the HCFA billing form, and to link the diagnosis in box 24E of the HCFA when billing 98943-51. Make sure there is a response to the adjustment noted in the record, such as increased ROM, increased function, decreased pain, etc. The record should reflect quality, character and intensity that would qualitatively and quantitatively substantiate the need for care. There should be a treatment plan noted in the record with functional goals in place that can be measured, such as with Oswestry or Roland Morris outcomes assessments. As you can see, by understanding the coding system and RBRVS reimbursement system, together with coding and billing correctly for services and carefully documenting medical necessity in your clinical records, you will take control of your reimbursement situation. When the services rendered are billed and coded correctly, and the documentation supporting the services is bulletproof, you will find little to no resistance to proper reimbursement. Dr. Mark Sanna is a second-generation chiropractor and the president and CEO of Breakthrough Coaching. For more information visit mybreakthrough.com.